Development and assessment of critical approaches to information technologies and multimedia practices are inevitable in our modern age, which is characterized by incessant messages conveyed through mass media and by breathtaking technological advances. Multiliteracy is required for accurate use, perception, and interpretation of communication technologies, which constantly penetration into our lives, in educational and instructional processes. The meaning of literacy changed in the 21st century, and images, which are commonly used now, have led to visual literacy skills. In parallel with the swift changes in the nature of information, higher education institutions have adopted various structural regulations and contemporary methods. In this way, the efficiency of the teaching-learning process is enhanced, and students are prepared for modern life. Within an educational process by which scientific and techno-cultural phenomena are reconstructed, visual literacy enables one to access images and visual materials in all areas. Therefore, individuals are required to have certain competencies so that they can objectively evaluate, subjectively criticize, and accurately reproduce, transform and use images. Success in higher education is becoming more and more dependent on visual literacy skills. The Visual Literacy Competency Standards for Higher Education presents guidelines for educators and provides a scientific framework in which students can acquire visual literacy skills and use visual media in a critical way throughout their professional career. The Visual Literacy Competency Standards for Higher Education was composed by the American Association of College and Research Libraries (ACRL). By means of these standards, the members of the association identified the domains of visual literacy and specified what learning outcomes could enable students to acquire visual literacy skills. The present paper is a discussion of the extent to which the Visual Literacy Competency Standards for Higher Education can be met. ACRL (2011). Association of College and Research Libraries, ACRL Visual Literacy Competency Standards for Higher Education, American Library Association (October 2011), http://www.ala.org/acrl/standards/visualliteracy (Access: 16.02.2014). Debes, J. (1969). The loom of visual literacy, Audiovisual Instruction, 14(8), 25-27. Fransecky, R. B. and Debes, J. L. (1972). Visual literacy: A way to learn-A way to teach. Washington, DC: Association for Educational Communications and Technology. Yildirim, A. Ve Simsek, H. (2013). Qualitative research methods in social sciences. (9. ed.) Ankara: Seckin. Zeren, G. (2006). The Problem with the Identity of an Art Educator in the Information Age and Globalization, Kastamonu Education Journal, 14/2, 637-646. Zeren, G. and R. Arslan (2009). 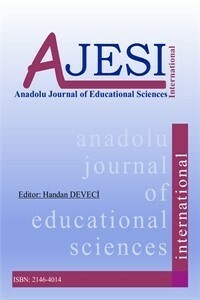 Literacy as an Educational Process, The Turkish Journal of Social Studies, 13/2, 83-92.